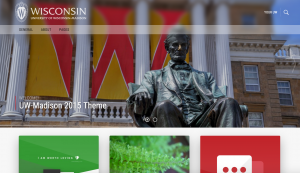 The UW-Madison 2015 theme was built to be easily installable, maintainable, and upgradable by any Wordpress experience level. 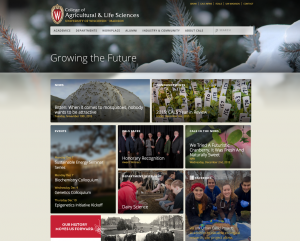 The CALS 2013 theme is utilized on the CALS homepage and many of the colleges websites. It promotes accessible and mobile friendly content while offering a photo centric theme. We offer a variety of WordPress themes that are developed in house to provide your site with a design that is mobile friendly, accessibility tested, and customizable.